1Department of Pharmacognosy, School of Pharmacy, Babu Banarasi Das, University, Lucknow, U.P, India. 2Pharmacognosy and Ethnopharmacology Division, CSIR-National Botanical, Research Institute, Lucknow, U.P, India. 3Department of Pharmaceutics, School of Pharmacy, Babu Banarasi Das University, Lucknow, U.P, India. Introduction: Plumeria rubra f. rubra commonly known as Lal Gulachin has wide horizon of medicinal possessions. Plant is found in India and in its tropical regions. Though the plant and its extracts have been indigenously valued as folklore medicine diversely in India, yet literature lacks somewhere in reverse pharmacognostical approach of this plant which reflects that plant have not been evidently explored therapeutically. There are several forms of Plumeria rubra among which P. rubra f. rubra is much appraised in India than its other forms. Method: In Present study the anticipated potential of this plant has been validated by laying down its pharmacognostical standards along with measurement of its active therapeutic constituent Ursolic acid and Lupeol via. HPTLC, information from organized search of published literature remarks that Ursolic acid and lupeol is ubiquitous to this plant. 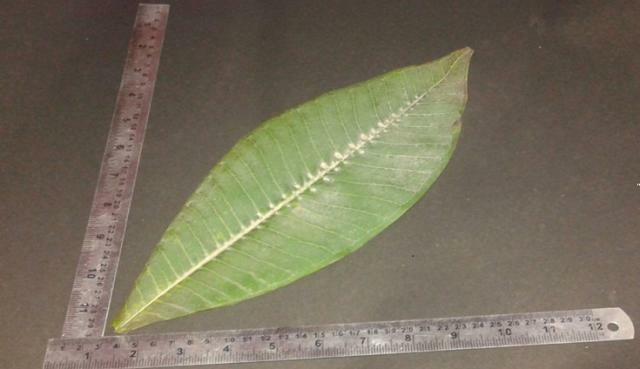 Results: Microscopic features revealed the presence of paracytic type of stomata, crescent bicollateral vascular bundle, calcium oxalate crystal and clothing trichomes in leaves whereas bark showed the presence of distinct periderm with cork and phellogen, sclereids, bast tissue with parenchymatous cells. Methanolic extract of both parts of plant was subjected to HPTLC. In HPTLC studies the Ursolic acid content in leaves was found to be 0.96% whereas in bark was detected as 0.051%, lupeol content in leaves and stem was found to be 0.014% and 0.018%. Conclusion: The data generated could be significantly used as reference for the standardization and quality control of Plumeria. rubra f. rubra, as no such work has been reported yet. Srivastava G, Gupta A, Singh MP, Mishra A. Pharmacognostic Standardization and Chromatographic Fingerprint Analysis on Triterpenoids Constituents of the Medicinally Important Plant Plumeria rubra f. rubra by HPTLC technique. Pharmacognosy Journal. 2017;9(2):135-141.